In this article i will tell you 4 ways to “video call” your family for free. This means no additional cost or monthly subscription exclusively just to see and speak with your family outside of UAE. The requirements for my methods are “smart and camera enabled” devices, mandatory internet connection, patience and commitment to try again if the calls fail or do not connect. 1. 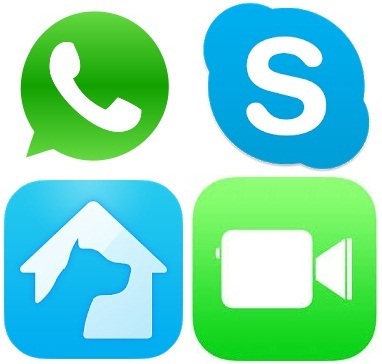 Frequently Update VoIP apps. This method refers to having your Whatsapp, Facebook messenger, Viber, Skype updated as soon as possible. New software versions may include fixes or new connection desings that may not yet be registered on the Etisalat blacklist. For example, there were reports of new versions of Whatsapp that had, briefly, video calling enabled. Be on the look out for new version updates or even beta trials, they may have some extra benefits ;). 2. Install Unpopular VoIP apps. Also, try to install other VoIP apps, that are less popular. I have succesfully tried and was able to make video calls using Signal or TamTam (android & ios). There are maybe other apps that have not yet made it on the Etisalat blacklist, so definitely do the research, enjoy the “discoveries” and share with the Ruwais.info community. 3. Use 2 Security IPCameras or 2 Baby Monitors. Technically this a dual one-way live transmission that can work as a live chatting session. Even if it may seem useless, some security ipcameras or “smart” baby monitors have a microphone, a speaker and a video camera incorporated. 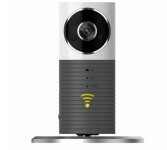 If you activate all of these 3 features between 2 different ipcameras or monitors in different locations, you can have a live video conversation. For this method you will each need an additional device to see the video and audio “security camera or baby monitor” stream. Just like a desktop pc is required to use a webcam (and vice versa :))). For example, one of my friend uses 2 of these baby monitor cameras. One is set up in his home country, and the second one is here, in UAE. He runs the proprietary app (of the baby monitor camera) on his tablet, and he connects to the “home country” camera. His family runs the same app on their mobile device, and they connect to the “UAE” camera. And that’s how they are able to see and speak with each other. This is somehow a combination of the previous methods, since this is an iOS “proprietary software” video call solution that works only with a certain type of hardware (made by Apple) and is more user friendly. For me this has worked using an iPhone 5 (US version) with Facetime enabled. iPhone 5 iOS will be limited to maximum version 10.3.3. Only with iOS 9 or iOS 10, if you set the region to Egypt or Kuwait (GCC Facetime friendly countries) your Facetime may magically reappear on your device, if it was missing while using it in the UAE. Sure, iPhone 5 with iOS 10 is not the latest iPhone model with the latest iOS version, but it works fine for video calling. Plus I do not have to worry about the operating system being accidentally upgraded the iOS 11. One last thing. Please note that none of above mentioned methods require installing or using a VPN… since VPN usage is illegal in the UAE. Is du connection working in ruwais?